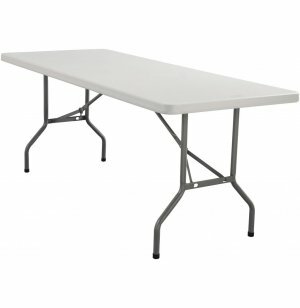 Blow Molded Rectangular Table 96"x30"
This plastic folding table has a blow-molded surface making the whole unit both exceptionally durable and extremely lightweight. 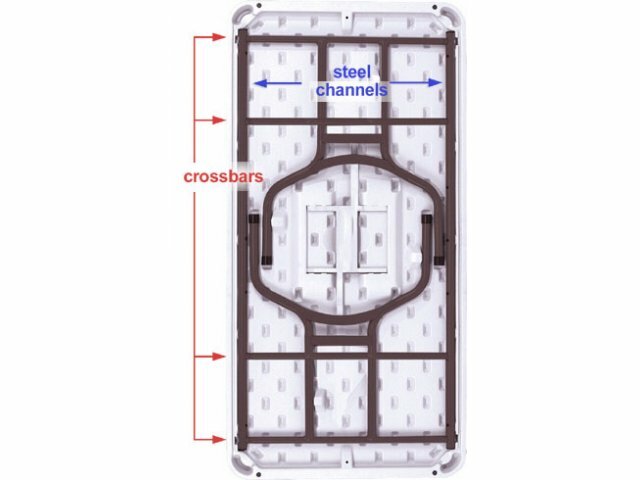 (Blow molding is a process which produces an incredibly strong and damage-resistant surface.) 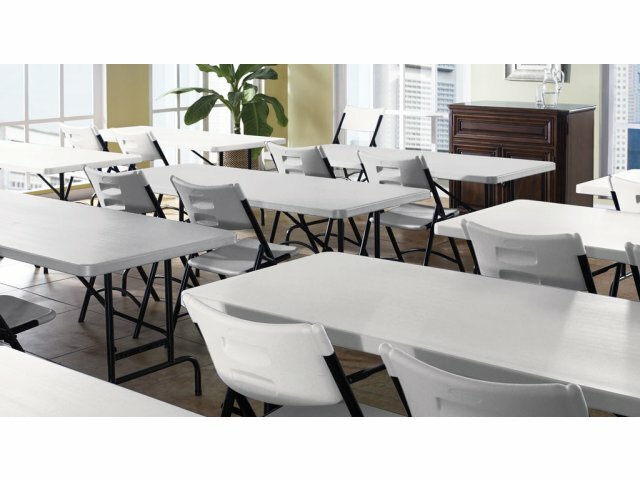 Whether you need a folding table for heavy, ongoing use or you need some extra temporary tables, these plastic folding tables are both convenient and economical. 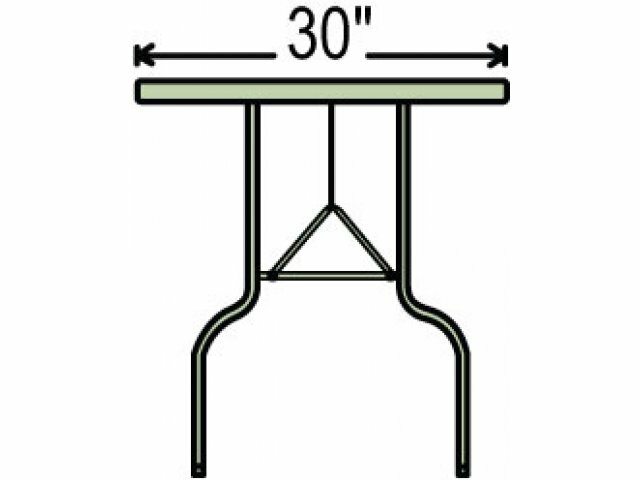 The tables open and close easily and leg locks prevent legs from springing open when table is being moved. 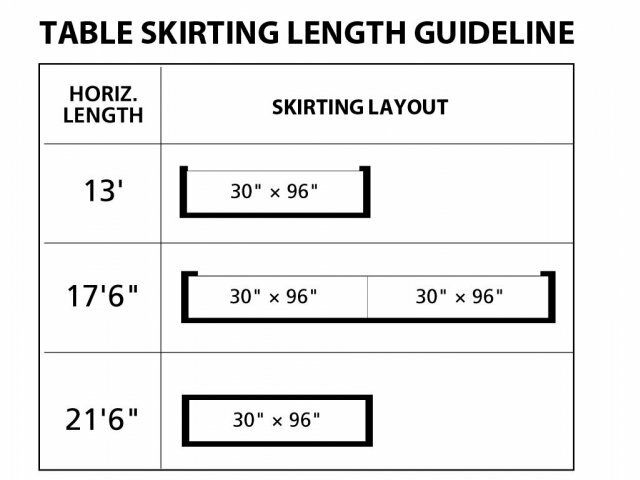 This is an eight-foot long table and can accommodate up to ten people. 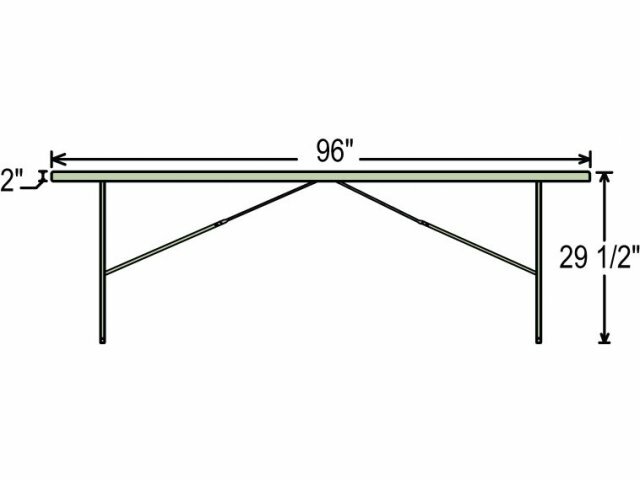 The table easily holds up to 800 pounds, evenly distributed on the blow-molded surface. 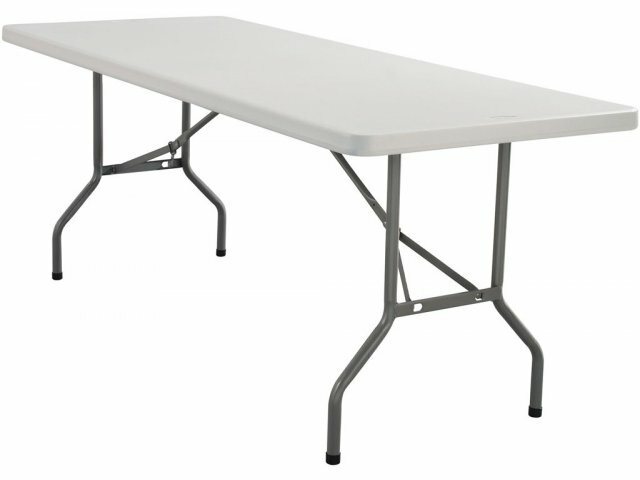 Heavy-Duty Weight Capacity: Steel legs and extra-strong tabletop are built to handle up to 800 evenly distributed pounds.